Today afternoon starts the first NPB meeting in Estonia. 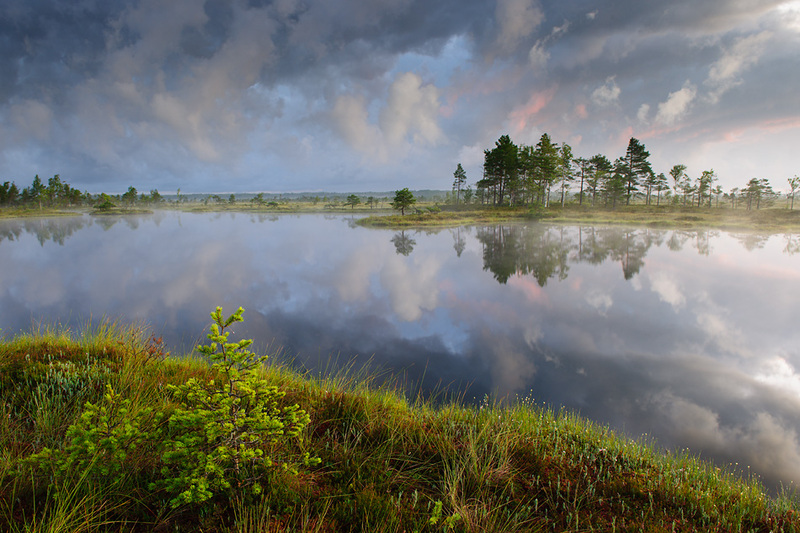 The emphasis will be on showing Estonia’s beauty – the bogs. Hopefully we will have some good light, dramatic skies and lots of fog 🙂 and of course a lot of laughs and good conversation. Photo info - Summer: : Nikon D3x + Nikkor 24-70mm F2,8 @24mm. F9, 0,5sec, ISO 100. Great landscape! Superb, the reflexions of the pines and clouds!! And the small pine on the 1st plan, makes the image complete! Wow, this is a truly exceptional shot. One of the best I have seen actually. SO many colours.